I just submitted an update to file “gen_exploit_config.rb” in the HBL svn, you can find the file here. That file is experimental (and also in need of some massive cleanup), but basically it should generate almost everything that is needed to get VHBL to compile and run (including, and especially, on the PS Vita) assuming you already have an exploit and the associated binary loader. 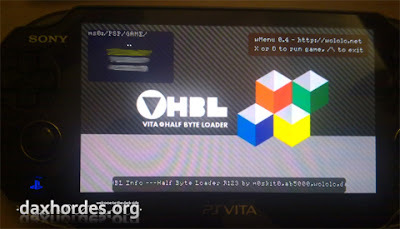 This is still experimental, and I need to update the “how to port HBL” tutorial with this new information, but mid term this should allow you to port HBL to your game exploit in about 5 minutes (compared to about 1 week for people without experience now). copy the file uidlist.txt and the file memdump.bin to the tools folder of HBL (where gen_exploit_config.rb is). Make sure uidlist.txt is encoded in unix format, convert it if that’s not the case.